Description: There's not much available in Meadowbrook at the moment and this well positioned property in Meadowbrook's most sought-after precinct has just become available giving one lucky buyer the rare opportunity to buy into this tightly held and sought-after location. This North facing property features FOUR queen sized built-in bedrooms... master with large walk-in robe and NEWLY RENOVATED ENSUITE ... multiple spacious living areas, one of which can easily be converted into a Fifth bedroom ... large central kitchen with NEW DISHWASHER, appliance cupboard, good fridge space, pantry and long breakfast bar... FRESHLY PAINTED inside and out ... NEW CARPETS throughout ... double garage with auto doors and internal access ... NEW remote controlled CEILING FANS with lights in all of the bedrooms and split reverse cycle AIR CONDITIONING in the main living area ... security screens and window locks throughout ... large INSULATED OUTDOOR ENTERTAINING off the family area for weekend B.B.Q. 's ... the tiled roof has recently been restored and the entire property is in tip top condition, fresh and move-in ready. Positioned on a 710m2 fully fenced allotment in a quiet cul-de-sac and just minutes from new Woolworths, Logan Hospital, Railway station, Tafe and University as well as Logan Motorway and the M1. 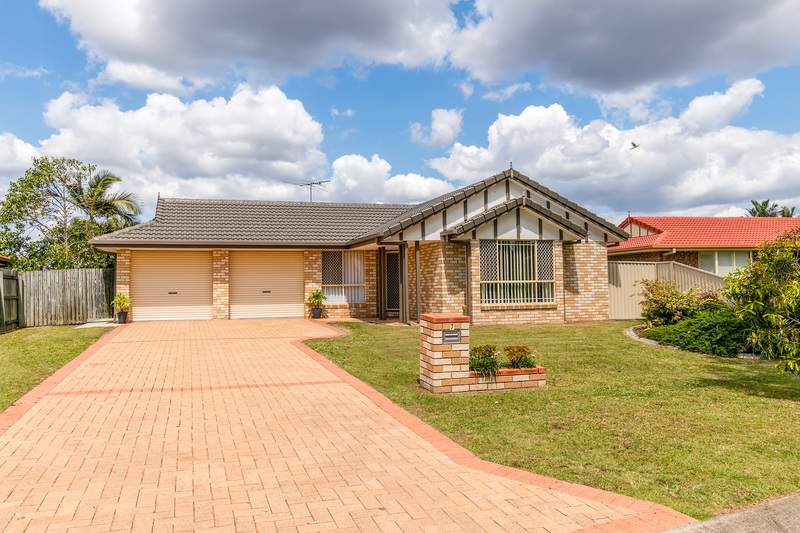 If you are looking for a great family home ... then this is definitely one to inspect and put at the top of your 'MUST SEE' list ... call Halina on 0408-768-551 TODAY to arrange your viewing.